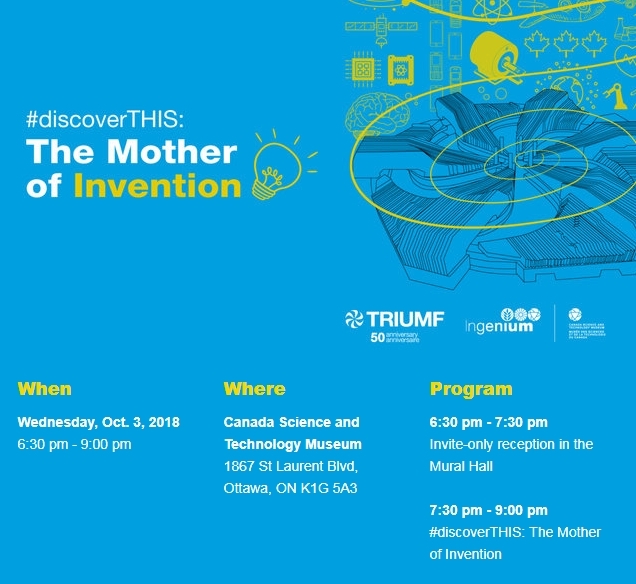 D-Pace Founder, Dr. Morgan Dehnel, has been invited to join the #discoverTHIS: The Mother of Invention panel session on Wednedsay, October 3rd, 2018 at the Canada Science and Technology Museum in Ottawa. Hosted by science writer and journalist Tim Lougheed, #discoverTHIS: The Mother of Invention brings together multidisciplinary perspectives in conversation about how a scientist‘s eureka moment is translated into new techniques and technologies that benefit the lives of people in Canada and around the world. 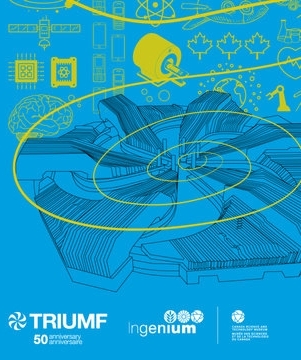 From satellites and smartphones, to PET scanners and the next generation of cancer treatments, discover how TRIUMF's made-in-Canada innovations have made an impact over the past 50 years.